The US Department of Energy says that air conditioning can account for up to 47% of your utility bill. 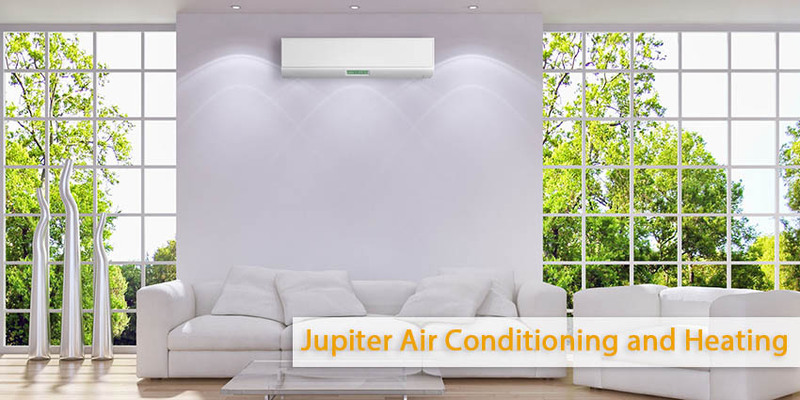 At Jupiter Air Conditioning & Heating, we take energy efficiency seriously. Here in Los Angeles, we realize that air conditioning is important for comfort during the summer months and our advice may help you save money on your Air Conditioning monthly energy bill. Here is advice on lowering air conditioning energy costs and also tips on how to stay cool and use your air conditioner less. The fastest and the easiest way to save money is not to use your air conditioner when you don’t need it or aren’t at home. You may install a smart or programmable thermostat. You can program these thermostats if you want to turn the AC on half an hour before you get home, so you won’t have to wait for the house to cool down after work. When you are at home, turn your AC up a few degrees. If you are comfortable at 68 degrees, turn it up to 70, and turn it up at night. Just doing these two things can save you 5%-15% on your monthly bill. Supplement the warmer temperature by making use of ceiling fans and bed fans. Air circulation is a huge factor is keeping cool. Our bodies have their own evaporative cooling system (sweat) and utilizing fans to keep air circulating helps us use this to stay cool. Regular air conditioner maintenance is suggested to keep your unit running as efficiently as possible. We advise a full tune-up at least once a season however there exist a few things you can do yourself. Check, clean and/or replace your air filter. Air flow is very important for efficient AC function and a dirty or clogged air filter is the prime suspect when too much energy is used by a unit. If you keep your condenser shaded and cool you will save up to 10% on your bill. Check the condenser for debris and growth and clear away anything that is covering the coils. Keeping the coils exposed is important for air flow and you should clean the coils at the beginning of each season. If you need to service your air conditioner or need advice on how to lower your energy costs please call us now (800) 407-1727. We want to keep you comfortable and help you save money in the long run. We are proud to serve Central and Southern California.